Elegant, uncomplicated and hard to ignore. The Office Timeline Plus add-in makes stunning timelines everyone understands. Use its powerful features to save time and create presentations your audience will remember. 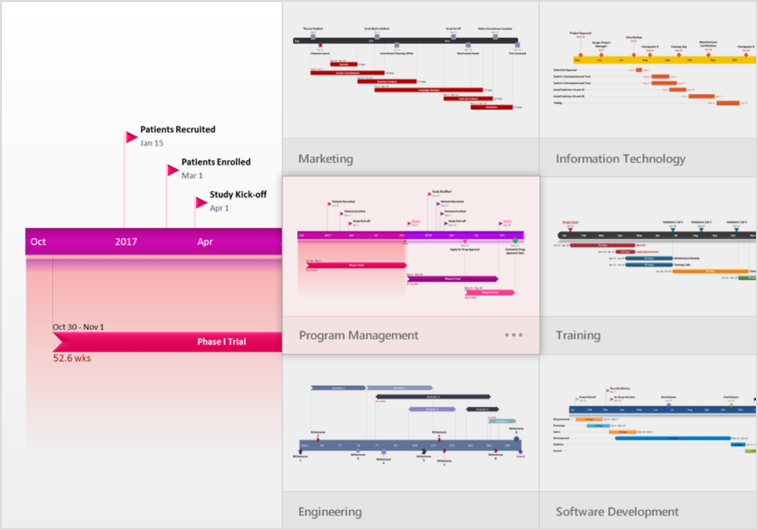 Office Timeline Plus is the best PowerPoint timeline tool available on the market today - bar none. 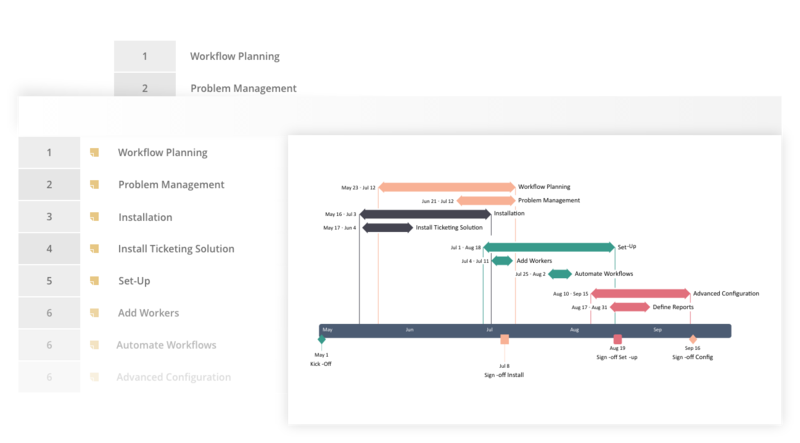 When organizing teams around complex schedules with multiple deliverables, timelines need to be easy to build, intuitive to update and simple to comprehend. Office Timeline Plus delivers all of this. 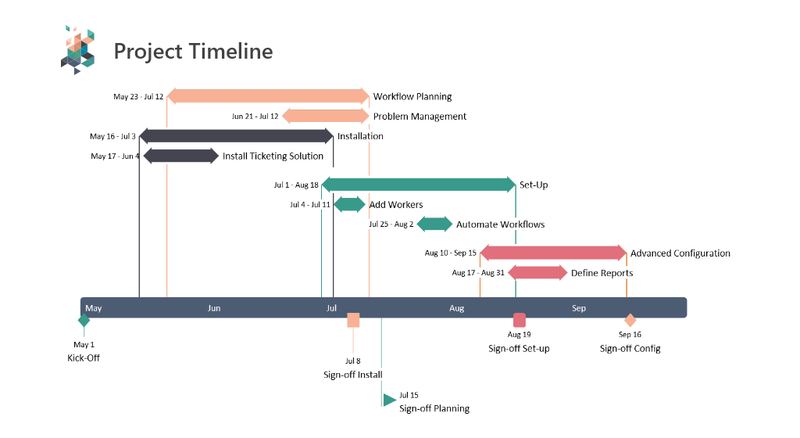 I absolutely love the Office Timeline PowerPoint add-in! 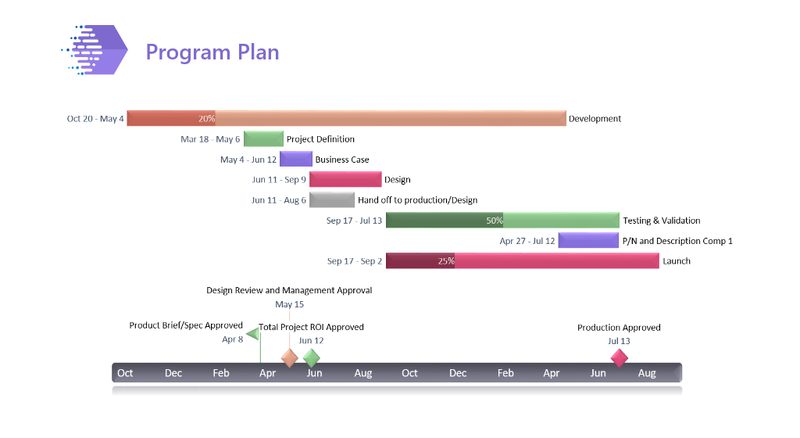 It is so very easy to use, very flexible and creates beautiful timelines quickly! It has been a valuable productivity tool for me and I highly recommend it. 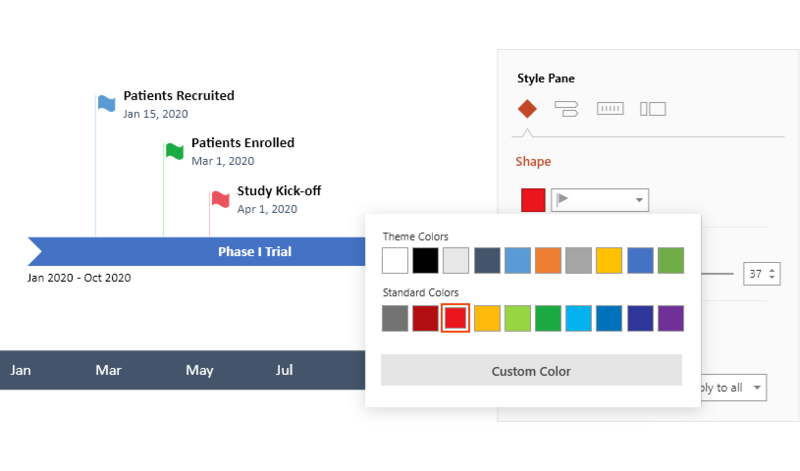 Choose from dozens of pre-designed templates or create your own to make impressive visuals even faster. Switch between templates at the click of a button to instantly change the look of your timeline. Save time. Link and sync existing data to create timelines in seconds. 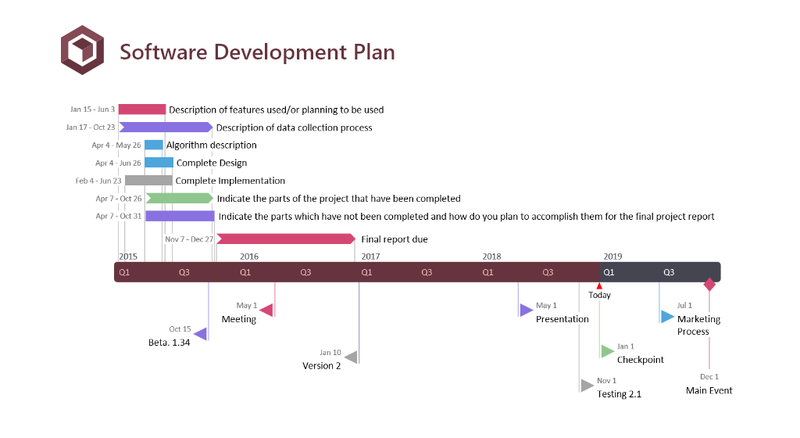 Import Microsoft Project or Excel files into the Office Timeline Plus add-in and instantly get beautiful PowerPoint slides. 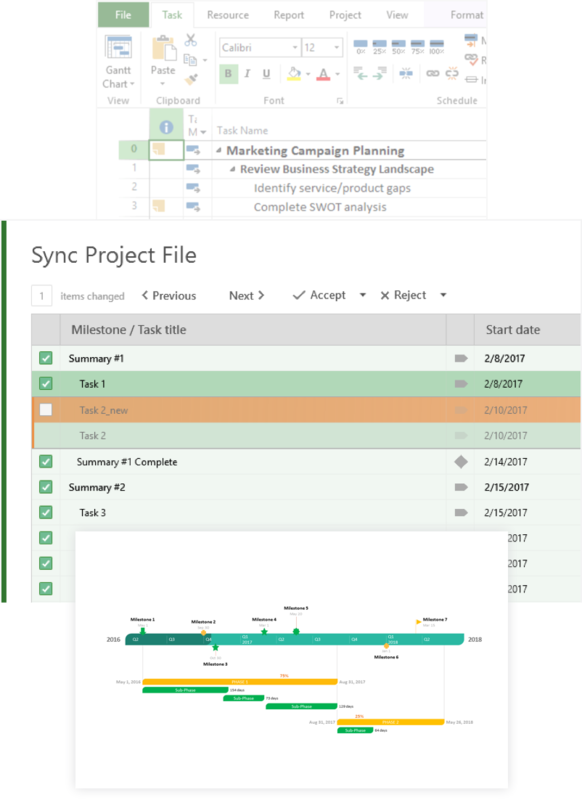 Keep your timelines updated by syncing them with the click of a button whenever your Excel or Project data changes. 1. 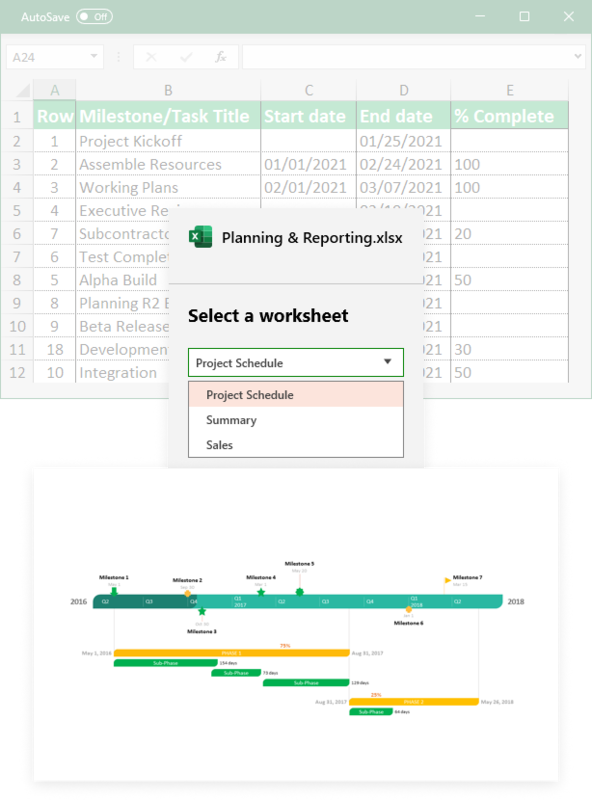 Manage your plans and schedules in Microsoft Project as you always do. 2. 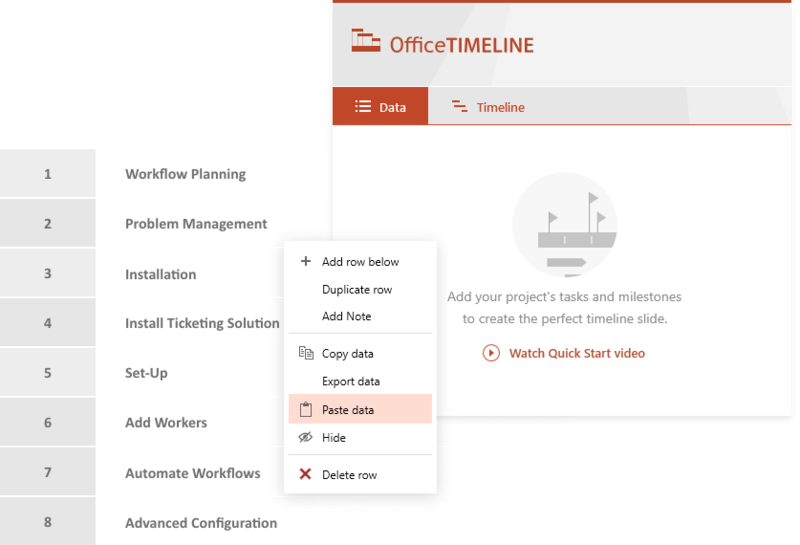 Import your Project file into the Office Timeline add-in with just a few clicks. 3. Instantly get your timeline and sync to update it automatically as plans change. 1. Manage your project data in Excel as you usually do. 2. Import it into Office Timeline with a few clicks. 3. Instantly get your timeline and sync to update it. Copy & paste project data from Microsoft Excel for quick timeline creation. Get organized. Show your plan more clearly with Tasks-in-a-Row. 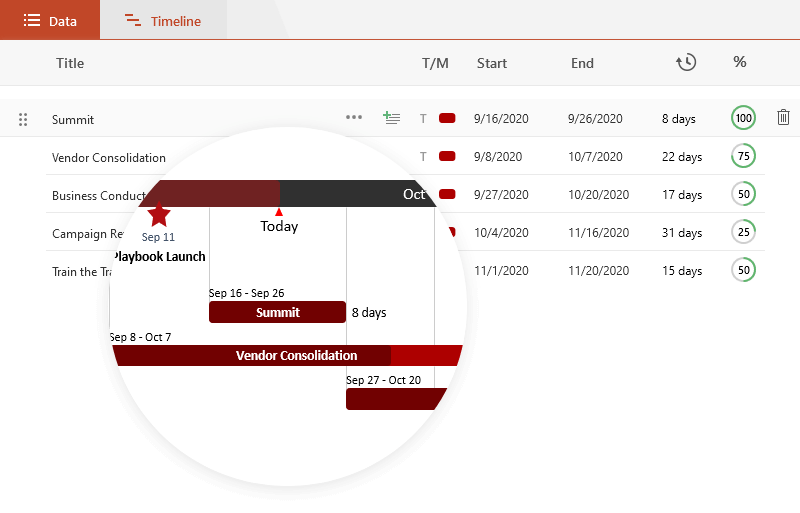 Office Timeline Plus lets you group multiple tasks on a single horizontal line to easily show sub-phases or arrange activities into work streams. 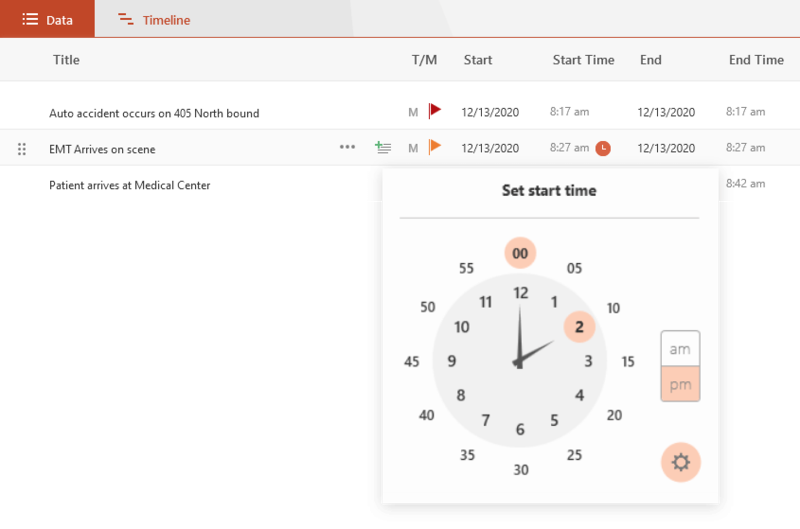 Create uniquely customized timelines with Plus Edition. Get over 50 powerful features to tailor your timeline exactly as you want it to be. Save your styling preferences as a template to reuse for any future work. 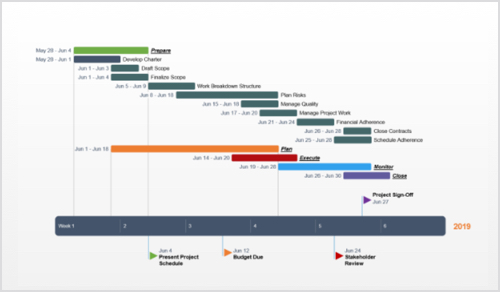 Create timelines, Gantt charts and daily schedules scaled down to hours or minutes. 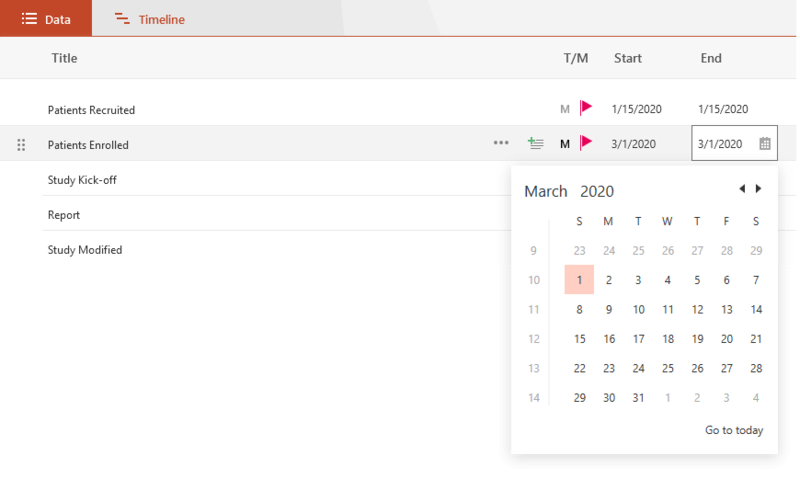 Pick from over 25 different date formats, including international dates, to present your plans in the way your audience expects. Unlimited timelines Create as many timelines as needed, as fast as you need them. Unlimited free updates Always get the latest product features and improvements for free. Import & Sync from MS Project or Excel Use Microsoft Project or Excel data and sync it with the click of a button. 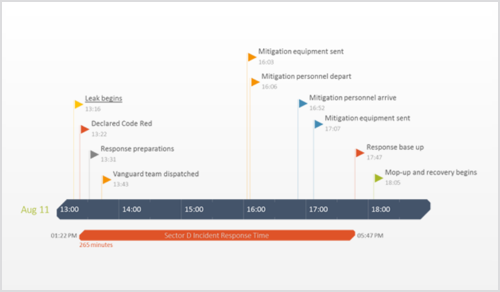 Prebuilt templates Get a fast start with our professional-looking timelines. 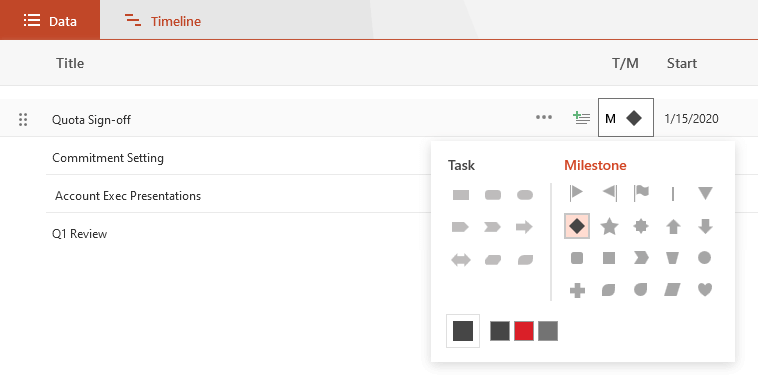 Multiple tasks in a row Break activities into sub-phases or work streams with Tasks-in-a-Row. 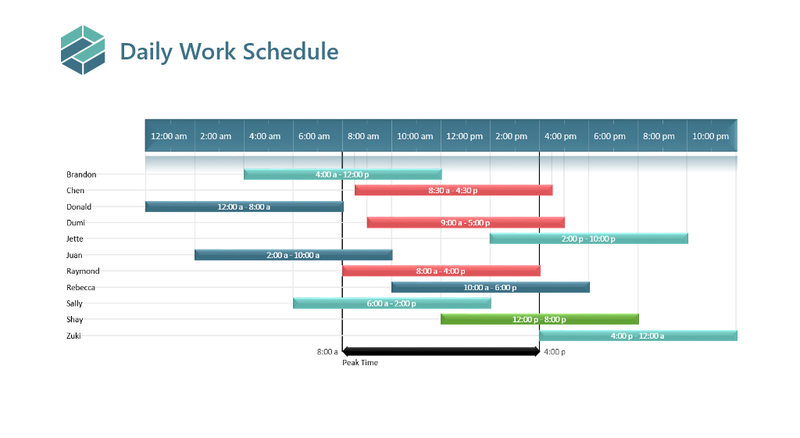 Schedules in hours and minutes Tasks and milestones scaled down to hours or even minutes. 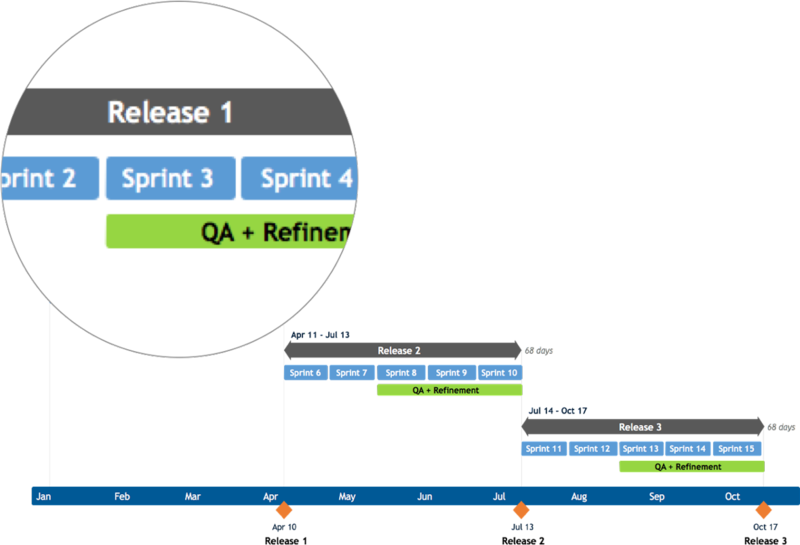 Custom templates Create your own timeline templates to use for future work and save time. Milestone & task shapes Impress audiences with unique and distinctive shapes. Date & time formats Present dates and times in the format preferred by your audience. Add % complete & task duration Add vital details your team and management need to know. Color fonts and shapes Customize fonts, styles, colors and shapes for powerful visuals. 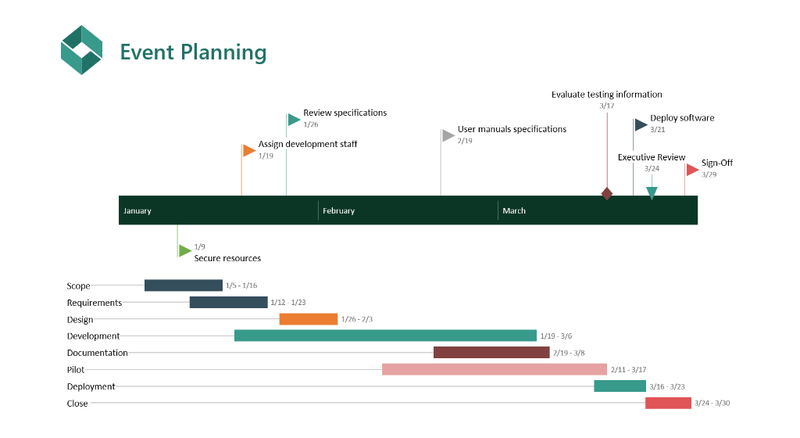 Custom position timeline on slide Reposition timelines anywhere for better symmetry or extra details. Technical support Get help from our friendly tech support team whenever you need it.